The consulate continued to be well occupied over the past couple of months providing consular support and undertaking public diplomacy. This update is intended to offer some transparency through information sharing of the Honorary Consul activities with Australians and the community in the North. So what do the numbers indicate regarding the scope of work and scale of activities covering the two month of July and August 2017? The month of July 17 was active with 106 contacts/activities requiring 41 service hours. The client language mix was 87% English & 13% Thai. By comparison the month of August 17 was somewhat busier with 130 contacts/activities that involved 62 service hours with a client language mix of 77% English & 23% Thai. Public diplomacy: 11% in July & 10% in August – (activities explained below. Google my Business – the consulate is on google and through this platform a number of people have made contact. For July the statistics indicate 706 found the consulate on google search, 14 sought directions – 26 accessed the website & 7 called. August information was not yet available. During the period I did some website administration involving updating the themes of these websites. Hope you find them useful and fairly easy to navigate? There was also a post this period about the Australian Consular Service Charter – what help can be provided and what help can not be provided. 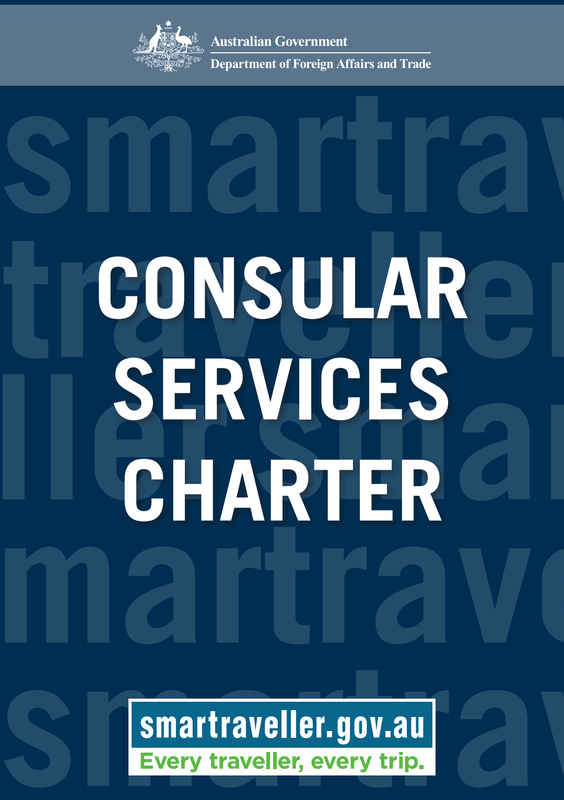 It explains what the Government consular services can and can’t do for Australians abroad. Check it out here – if you haven’t seen it yet. One of the roles of the volunteer honorary consul is to represent and promote Australia. 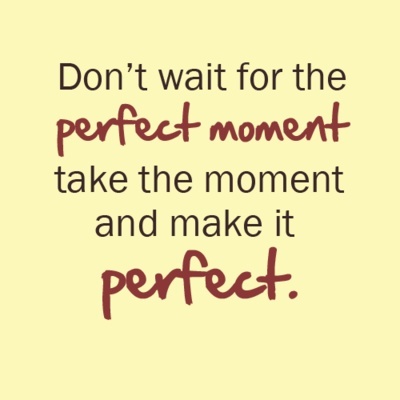 There are many event invitations and ceremonies that provide this opportunity. 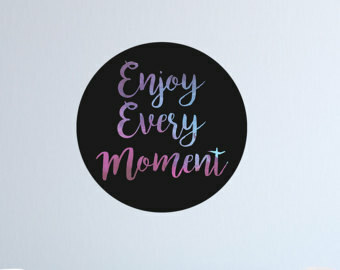 I can’t always attend every event due to diary or work conflicts. I was unfortunately unwell during the celebrations for the current King and the Queens birthdays during this period so was unable to participate in local activities. Visited with artist Lynn Taylor at her exhibition which ran from 23 June to 9 July at Baan Tuek Art Centre. Lynn had just completed her Master of Fine Arts from CMU and the exhibition was of some of her works completed during the degree. It was enjoyable to review her presentations and to discuss “her thoughts on environmental change”. 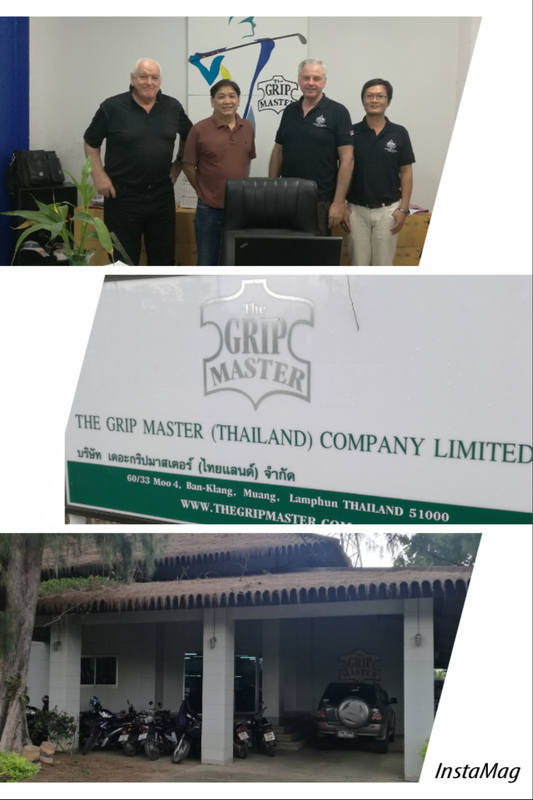 Took a small journey to Lamphun to meet Ian, Australian CEO and Khun Sitthichai, MD, of the manufacturing home of The Grip Master – making unique specialist leather golf club grips. Gripmaster began in Australia and moved their manufacturing to Thailand a number of years ago. For three generations the McConchie family has been involved in the leather industry in Australia. As kids, Ian and Bruce remember learning about leather and the art of working with it. So it is no coincidence that some 35 years ago, they started to design and manufacture handbags and belts. The business they started 35 years ago has flourished and is a now an industry leader in the Southern Hemisphere. Today, it is fair to say that the McConchie brothers are experts in the grading, tanning, production, manufacturing and nuances of leather.ks Ian and the team for your time during the visit and for the explanations of a fascinating industry. Thanks to Ian and the team for hosting our visit, for showing us around the facility and explaining this industry. Enjoyed attending the launch event for a new Chiang Mai Immigration initiative – Volunteers Program. Some 40 Volunteers and observers spent a few hours in briefings on Immigration legislation followed by dinner and some entertainment by the Immigration band. The volunteers will undergo training and support Immigration staff to assist foreigners. Sounds a positive initiative, hope it works out as planned. Thanks Immigration for inviting me to observe. Some of Chiang Mai Consular Corps and the Chief of CMU International Relations (who was an Aussie exchange student) gathered to farewell Khun Pakvipa, Head of Ministry of Foreign Affairs in Chiang Mai. She was a friend of the Corps and is now being posted to Chennai, India. We also welcomed her replacement Khun Sabsin who has returned from a posting in Athens, Greece. It was a lovely informal dinner at the Saenkham Terrace Restaurant on the Canal Road with fantastic views and great food. I also learned there are 2600 International students at CMU. Thanks to Khun Hagen, German Hon Con for hosting this event. I was surprised to find an Australian contingent participating at this conference. Representing Australia with other Consular Corps members at the opening ceremonies for the 27th Y’s Men International Asia-Pacific Area conference at the Empress Convention Centre in Chiang today was a great opportunity. Thank you to Dr. Patcharawan the SE Asia Regional Director and host committee chairperson for inviting me to participate. I had little knowledge of this group but learned Y’s Men International (Y Service Clubs International) is oriented to serving the worldwide YMCA and the communities in which it is present throughout the world. The membership of the Association consists of affiliated local clubs known as Y’s Men’s Clubs, Y’s Women’s Clubs, Y’s Men and Women’s Clubs or Y Service Clubs. The membership of each local club consists of men or women or both. No one is denied membership status because of race, creed, colour or national origin. It turned out that recently there was realignment of boundaries and Australian members are now part of the Asia-Pacific so I was surprised to find a number of Australian representatives – a good catch up and chat. Aside from welcome ceremonies and speeches, there was a delightful singing performance by children from Chiang Mai and Chiang Rai cleft lip and palate project. They provided a wonderful singing performance and it great to see the results of the community funding work to help improve the lives of these children. The Australian Embassy in Bangkok has been relocated and after a few years of construction a grand opening was held on the 3rd August. I had the pleasure of attending the ceremony involving the Australian Minister for Foreign Affairs, the Hon Julie Bishop, MP with the Ambassador Paul Robilliard and other guests. The Embassy is at 181 Wireless Road, Lumphini, Bangkok (contact details in pictures below) and has an impressive design, unique with the use of Australian wood and stones features with a number of water elements. Some concepts taken from the old Embassy. This was also a good opportunity for me to catch up with the consular service team and to get some updates on policy. The old Embassy is up for sale and is in a prime area of Bangkok so the transaction value will be considerable no doubt. 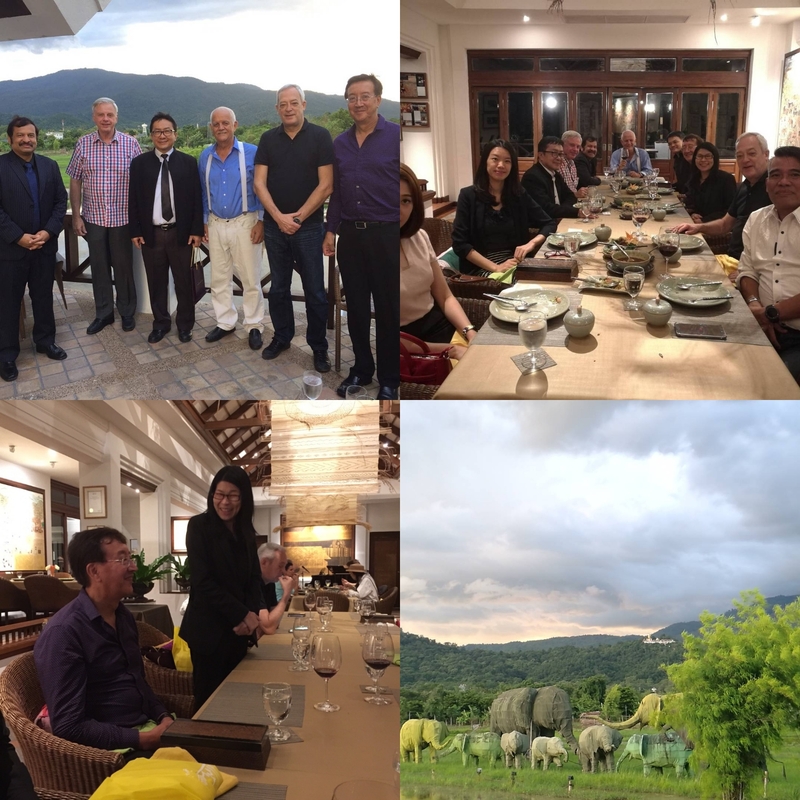 Some members of the Consular Corps in Chiang Mai, (14 of the 24 countries represented in the north of Thailand) attended a meeting at the Na Nirand Boutique Resort in Chiang Mai. We discussed a number of topics of mutual interest to come to a point of view and to provide the Provincial Government feedback on a few questions they had posed to the Corps. We resolved to meet quarterly and to continue engagement with Governors Office, subject to his agreement, a couple of times a year. Thanks to the Honorary Consul of Britain, Corps Secretary for arranging the meeting and to the acting chairperson, the Consul of India. 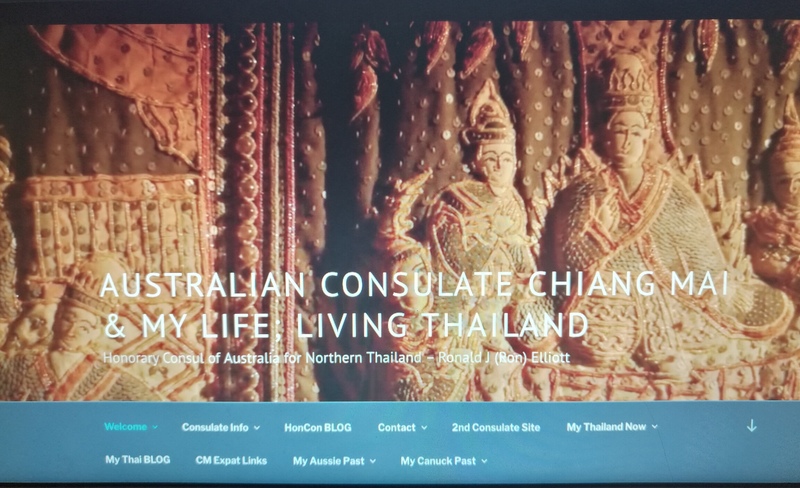 You are probably aware of this valuable and convenient outreach service to Chiang Mai every two months offered by the Australian Embassy Consular Service section. 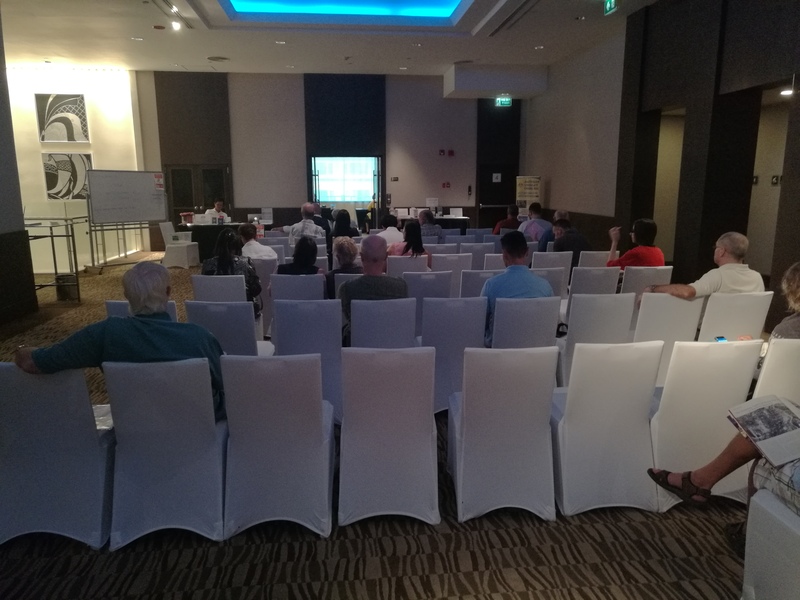 The visit on the 18th August was a really busy day at Le Meridien Hotel Chiang Mai with nearly 90 clients provided with some notarial or passport service. While service normally operates from 9 -12 and 1 – 3 pm it didn’t finish until about 430 pm on this day. 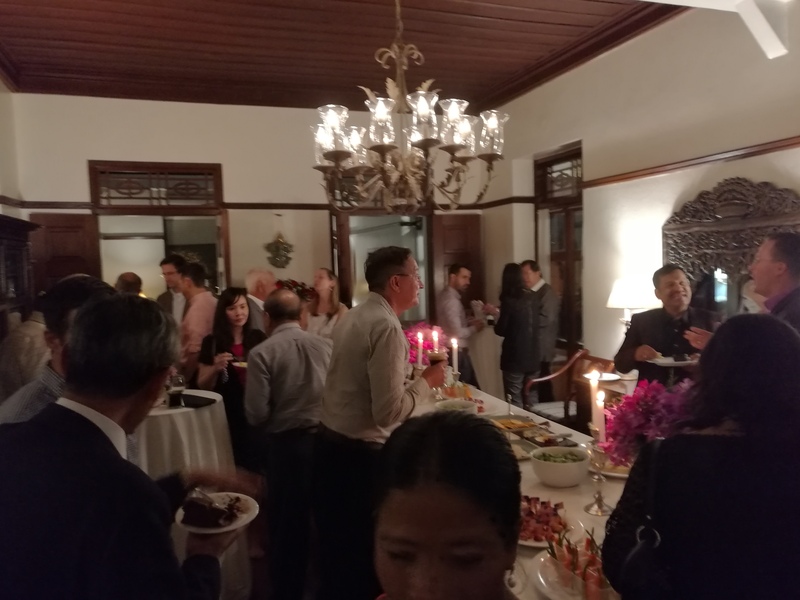 The Consul General kindly invited members of the Consular Corps for Northern Thailand to the residence to an informal reception. It was designed for members to meet the many consular officers that work at the Consulate and who Corps members might not interact with on a routine basis. It was a most enjoyable, friendly and informative evening. “The Consulate evokes an earlier time of pergolas draped in riotous explosions of bougainvillea, the subtle scent of frangipani, and the gentle breeze of a slowly turning ceiling fan. remains the sole U.S. consular presence in Thailand outside of Bangkok. The Consulate grounds were previously known as the Chedi Ngam Palace, or Beautiful Pagod. There is a PDF booklet with pictures on history of the US Consulate Chiang Mai – click here. The Consulate visited with the Assistance Director, Heather Smith (an Aussie who with her husband have been here for 48 years) and toured the facility that includes Dok Kaew Gardens (an aged care facility). It was a most interesting visit to learn of the facilities origins, the history and work of the complex to support many care initiatives. Thanks to an invitation from the Mayor of Chiang Mai Teseban the consulate attended and enjoyed the opening events of an exhibition in honour of his majesty the late King and her majesty the Queen entitled “From that hands of the hills to the hands of the Queen”. There was entertainment involving local folk singers and dance performances by Karen children from a village in the Omkoi district (southwestern most district in Chiang Mai Province). Opening remarks were made by a representative of hill tribes who explained how life was much better with the initiation of the Royal Projects along with the Governor and Mayor of Chiang Mai. A tour of the cloth pictures exhibition (best explained by the photos) and craft areas was most enjoyable and enlightening. There was work from a variety of the ethnic hill tribes around the North of Thailand. This event runs from now until the 19 November in a building at the back of 3 Kings Monument in Chiang Mai and its worth a visit. Whats Coming up for September and October? Bangkok Visit – a trip to Bangkok is planned to visit the Embassy and Austcham as well as to take care of a number of administrative and personal matters. 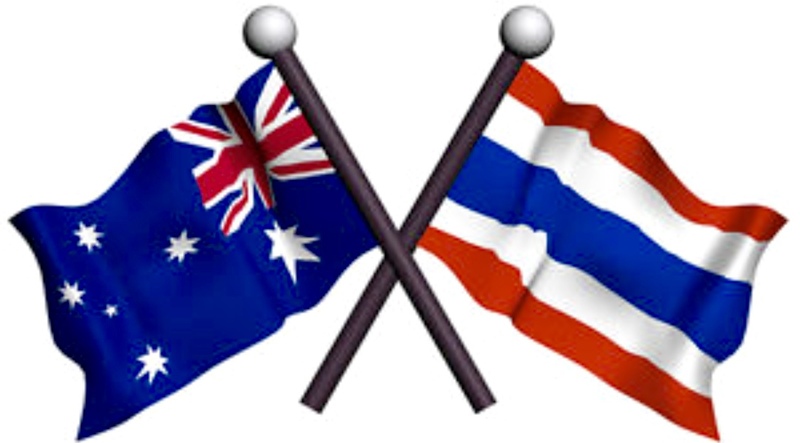 Chiang Mai Expat Club – Three members of the Consular Corps (US, Britain and Australia) will be making presentations and taking audience questions on Consular Services at the September general meeting on the 4th Saturday in September. Bi monthly Consulate Update for July and August 2017.